Winnie the Pooh has always been my favourite Disney character and last year Winnie the Pooh celebrated the 90th anniversary. 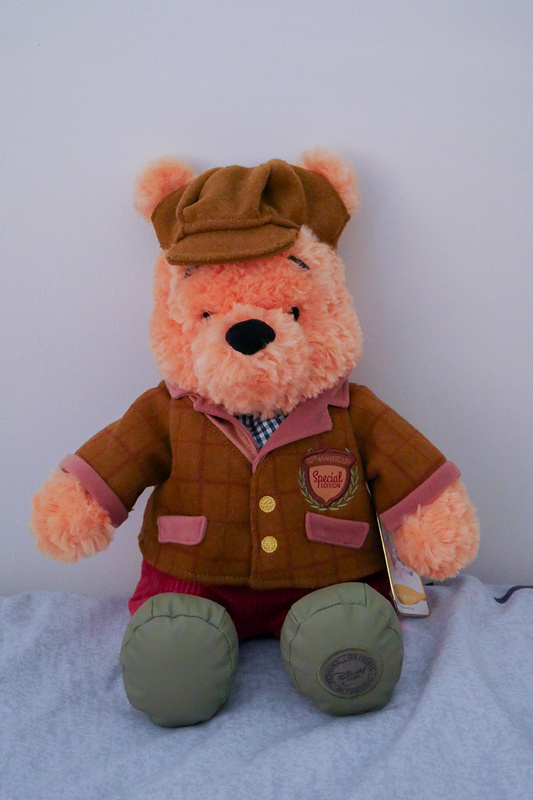 There was so much merchandise released and one of my favourite purchases during the anniversary has to be the ‘Winnie the Pooh Special Edition:90th Anniversary Soft Toy’ that I purchased from the Disney Store. It is now out of stock on the Disney Store website as it was a limited edition item, however it is still listed here. 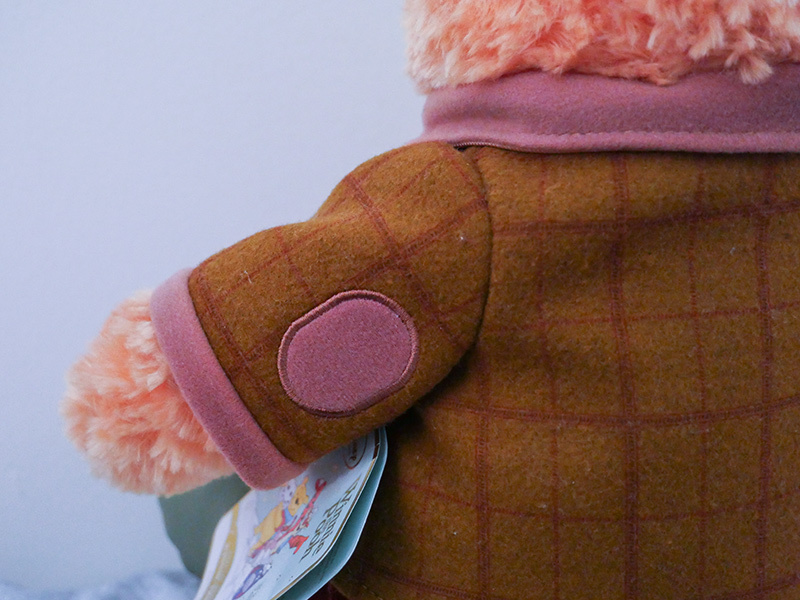 thought I would share with you some photographs of the Winnie the Pooh Special Edition as it is quite possibly my favourite Disney item I own. 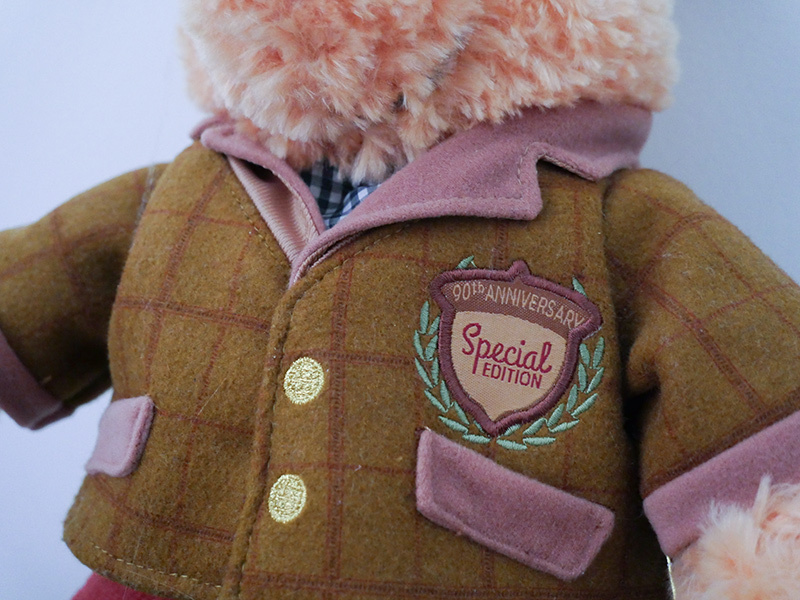 I love all the little details including the little acorn patch that says ’90th anniversary special edition’ and the elbow patches on the back of the jacket. The whole outfit is adroable, I love the jacket and the hat. He cost £29.99 plus postage. 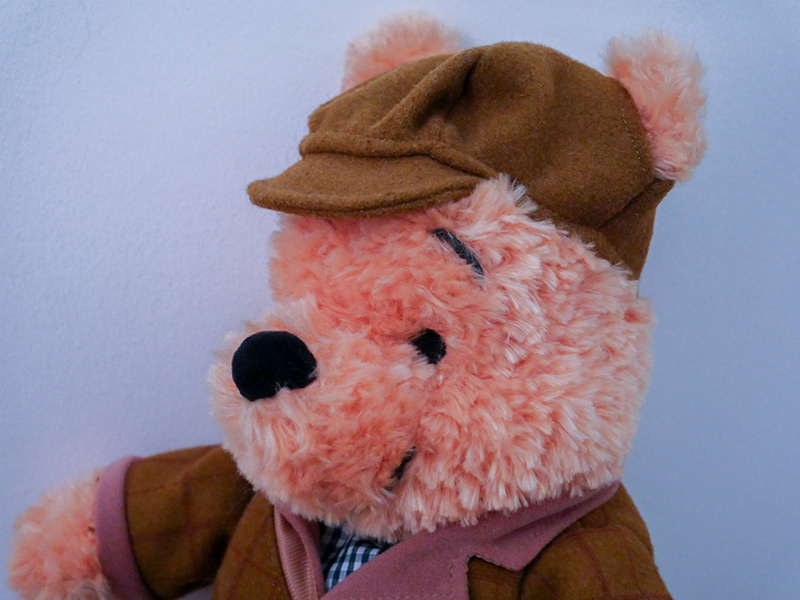 I think it is great value for money as he is of amazing quality and is a lot bigger than I expected, the Disney Store says the size is approximately H39 x W29 x D12cm. For now I have kept the tag on incase I do decided to sell it in the future, although this is extremely unlikely. 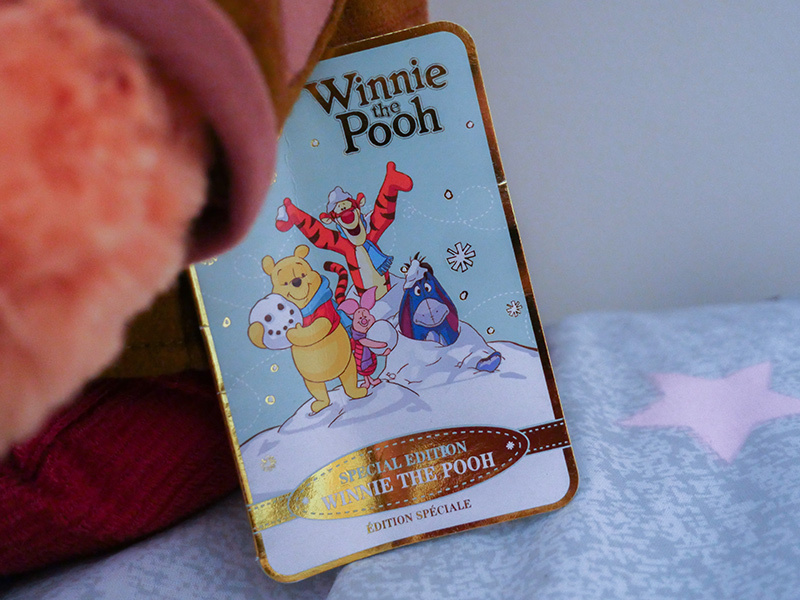 I also wanted to keep the tag on because I like that it says ‘Special Edition Winnie the Pooh’ on the tag. Have been searching for this Edition Pooh. Bear to complete my nieces collection of bears. Have you any idea where I can get hold of one without having to pay soooo much money that places like eBay are asking for.